Some 230 care home operators are thought to have created a systematic fraud network in Germany linked to the mafia, police say. Patients' rights groups say the government is giving organized crime a free ride. The German government has been accused of making things far too easy for organized crime to exploit the country's care home networks. The accusations came after a report by the Federal Criminal Police Office (BKA) and its state counterpart in North Rhine-Westphalia showed on Tuesday that around 230 companies are under investigation for massive fraud. According to the report, leaked to Die Welt newspaper and Bavarian public broadcaster Bayerische Rundfunk, companies routinely defraud insurance providers, patients and pharmacies by claiming for services they are not providing, falsifying documents, employing unqualified carers and making multiple claims for a single patient. With some of the companies, the police suspect links to organized crime networks from Russia or Eurasia, because of attendant suspicions of money-laundering, the presence of shell companies both at home and abroad, as well as links to the gambling industry. Not only that, the leaked report found that some of the former heads of the companies under investigation were already known to police as suspected contract killers. During a closed meeting last week between police, state prosecutors and representatives of health insurers, the special investigators said they believed that care work was a particularly juicy target for fraud, since it offered big profits against a relatively low risk. Not only that, given that the German population is ageing, the opportunities were likely to increase in the future. Various patients' right representatives declared their outrage at the report on Tuesday. "When I hear something like that, I get angry, because fraud in the care industry is particularly macabre," the government's patients' commissioner, Karl-Josef Laumann, told broadcaster SWR2. 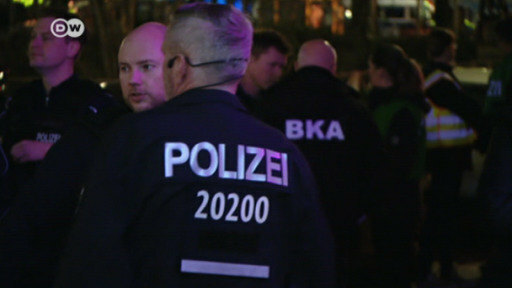 But Eugen Brysch, head of the German foundation for patient protection (DSP), offered more than anger, arguing that the country's authorities had gone "too easy" on organized crime up to now. In a statement, Brysch, pointed out a series of deficits in both law enforcement and controls designed to catch false claims. "There is a lack of focused state prosecutors and special investigation groups," Brysch said. "This is where we need more from the interior ministers and the justice ministers. But it is also the responsibility of the medical services of the insurance companies. When the identities of claimants aren't checked, it's not surprising that one person receives care services under different names." The problem is not new. Similar large-scale organized fraud was uncovered this time last year, when the German government introduced laws allowing health insurers to carry out other checks. But the DSP, which says it is financed exclusively from donations, has always argued the government could go much further, and on Tuesday reiterated some of the proposals brought up in an eight-point plan it devised a year ago - including a central electronic database that logs all care services provided, and a single lifetime ID number for all patients. "This would shine a light into the jungle between the care insurance and health insurance," said Brysch, who believes that criminals make hay in the bureaucratic disconnect between care insurance and health insurance (Germany is one of the few countries that has two separate systems). On top of that, the DSP also argues that criminals exploit the fact that prosecutors in different German states deal with the problem differently - because only some states have made combating care fraud a priority. A spokeswoman for the German Justice Ministry confirmed to DW that states have the right to determine which crimes they pursue. But Bernd Tews, head of the association of private social care providers (BPA), was more sanguine, pointing out - in a statement emailed to DW - that the problem was far from widespread, given that only 230 of 14,000 care companies were under investigation. Not only that, the new report showed that the current system was effective. "The cases of fraud, which should be sanctioned with all legal means, were uncovered by a well-functioning control system and are clearly being legally pursued appropriately," he said. Tews also warned against succumbing to a "culture of suspicion" towards care companies. For decades, several families, mainly of Arabic and Kurdish origin, were able to build their own tightly knit criminal mafias in Germany. But the authorities have been steadily ratcheting up the pressure in their fight against organized crime. Police have arrested Camorra boss Marco Di Lauro — one of the most-wanted criminals in Italy. "Unusual activity" led authorities to his apartment, where he was found eating pasta and expressed concern for his cats.